I was surprised and flattered at being asked to fill a Guest Designer spot in the Playground. 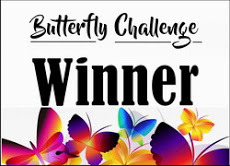 I do try to pop along there with a card for every fortnightly challenge and always enjoy seeing how others use up their snippets. I've been making cards for quite a while and needless to say have accumulated a mountain of snippets of all colours and sizes - in particular I seem to have quite a lot of white pieces so in the main that is what I've used for this card. I started with a fairly large square of Centura pearl card which was the 'waste' left from cutting a frame for a previous project and from this I cut out a scalloped window (incidentally leaving yet another 'waste' snippet for my collection). A mauve piece of card was put onto a white 6" card blank as a base. The coloured area seen through the window is a snippet of a larger piece resulting from an experiment with a technique flagged up recently by Loll HERE - an interesting way of using Distress Oxide inks. This coloured piece was glued into place on the base layer before popping the white square on with foam pads to raise it slightly. Four die cut corners were added using Centura pearl and the blossom added along with a tiny stamped and punched sentiment. 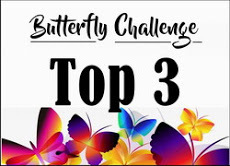 I don't think I'm ever going to get to the end of my snippets but it is great fun trying! I recommend a regular visit to the playground to see lots of inspiration and for an opportunity to possibly win a lovely crafty prize. Hi Val! You're an early bird with your Playground comment this morning. Many thanks for being our Guest Designer this fortnight with such a lovely card. Afraid one of the drawbacks of this lovely weather is that I'm awake (and up and about) far too early - feels like elevenses time already!! Well done Val, I think the snippets pile is definitely never ending. 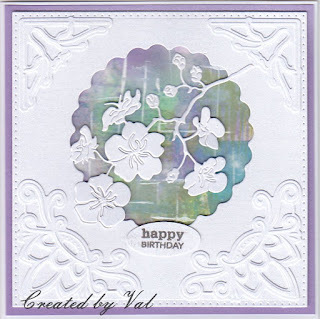 A stunning card Val, I love the show of white and what you've done with it. 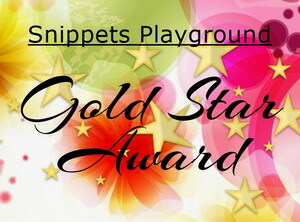 Congrats at being guest at the playground. looks wonderful Val...so happy that you had a chance to try it out!! 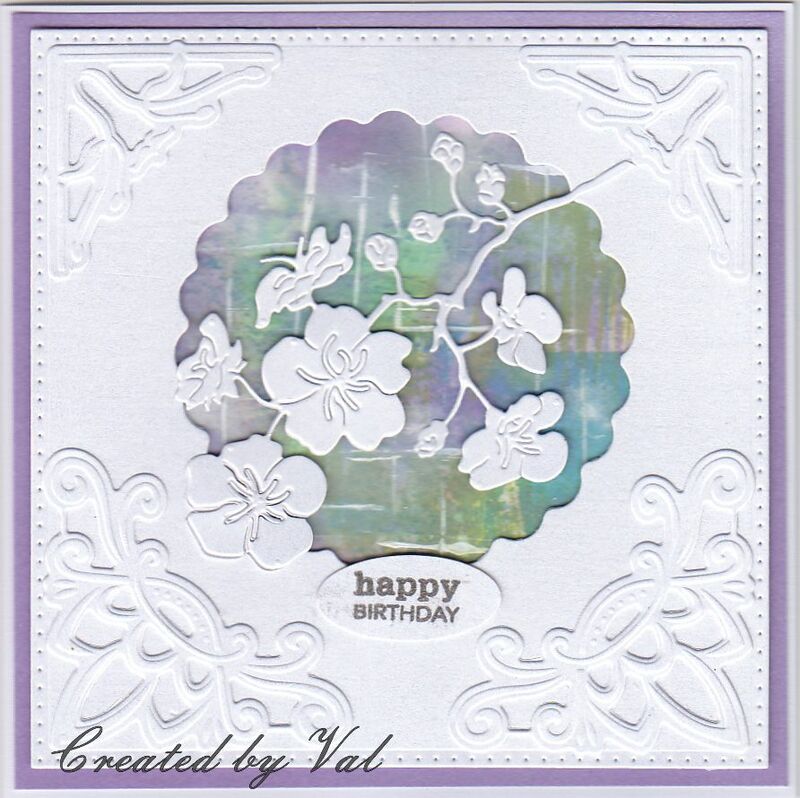 Gorgeous card, Val! Love the colours and all the texture. Congrats on GD! Brilliant, I love the colours of the inking and the beautiful die cut. I don't think I'll ever get to the bottom of my snippets heap either but it's fun trying, as you say. LOVE LOVE LOVE this card Val. Great technique and one I'll probably have a go at. Many congratulations on your Guest Designer spot over at the playground. 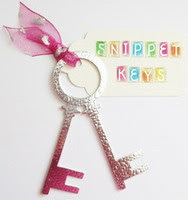 I really need to get my snippets out again as they are building up. 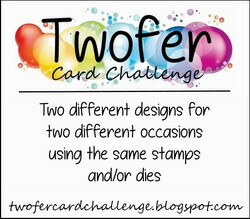 Love your card and how you have used the Oxide Inks. Must go and check that technique out .. it looks great. 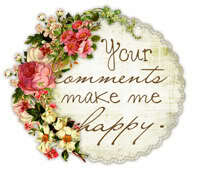 Many thanks for your comments on my blog. To be honest I couldn't have justified buying the machine if wasn't doing my wedding work and lots of general orders for folk. For me it will pay for itself over and over. It is a little cooler here today .. .. and we even have a little bit of rain. No need for me to water today yay!! I'm afraid I did investigate those 3D folders and found I needed all four of them!!!! Hugs Mrs A.